Barry Jenkins took eight years between his acclaimed debut film Medicine for Melancholy and Best Picture Oscar winner Moonlight. 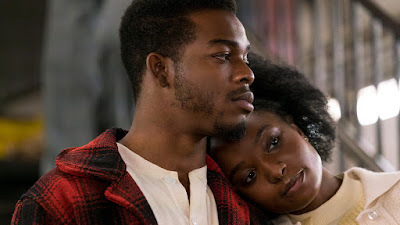 Thankfully the wait won't be nearly as long for his next film, If Beale Street Could Talk, and if the early buzz is right it may be a short trip before Jenkins returns to the awards stage. A new trailer has hit for Jenkins' adaptation of James Baldwin's book, which apparently will stick very close to the source material. Kiki Layne and Stephan James star as Tish and Fonny, who must overcome the odds when Fonny is falsely convicted of a murder, and Tish must fight to free him before the birth of their child. The stars flocked to be a part of Jenkins' latest, and the cast is the best he's ever had. Colman Domingo, Teyonah Parris, Michael Beach, Dave Franco, Diego Luna,Pedro Pascal, Ed Skrein, Brian Tyree Henry, and Regina King are all on board making for a terrific ensemble. If Beale Street Could Talk opens November 30th.